Many people do not know that Addi and Cassi’s primary doctor is not a geneticist, metabolic specialist, neurologist, or cholesterol expert but is one of the nation’s leading pediatric cancer doctors. Her name is Dr. Caroline Hastings and she is the medical director for the Hematology/Oncology/Bone Marrow Transplant unit at Children’s Hospital & Research Center Oakland (CHRCO) and runs The Children’s Specialty Center of Nevada, under the Cure 4 the Kids Foundation. Hugh and I first met Dr. Hastings in Reno about 5 years ago when we were desperately searching for a diagnosis for the twins. While other doctors were unable to help us find a diagnosis, Dr. Hastings continued to work with Hugh and I to get answers as to why the twins were losing their ability to walk and talk. Even though they did not have cancer, she was committed to helping us continue to do testing. I remember when a world renown lysosomal storage diseases (LSD) doctor at Thomas Jefferson University told us that Addi and Cassi did not have a lysosomal storage disease and was refusing to do more testing on the twins’ blood samples. After doing all her research, Dr. Hastings believed the twins had an undiagnosed LSD and was arguing with him for more testing. Ultimately she was right – the twins were suffering from a LSD called Niemann Pick Type C disease, a fatal cholesterol condition. When we found a potentially lifesaving therapy for Addi and Cassi, Dr. Hastings was the first to step in to help even though helping would take a lot of personal time outside of office hours and she would not be compensated for it. There are not many doctors in the country that would help parents file treatment protocols with the FDA or learn about a genetic disease outside of their specialty area. But Dr. Hastings did just that and had the confidence to be the first doctor in the world to try an experimental sugar compound on the twins called cyclodextrin. When your kids are dying of a rare disease or leukemia or a brain tumor, Dr. Hastings is the type of dedicated doctor you want on your team! We have met countless doctors due to Addi and Cassi’s illness and we can assure you that doctors like Dr. Hastings don’t exist in many places anymore. Dr. Hastings is so dedicated to helping kids and families, that for the past 20 years she has traveled from Children’s Hospital & Research Center in Oakland to Reno (even during 3 pregnancies!) on a weekly basis to help treat patients in Northern Nevada. Most of the local children with cancer and are too weak to travel from Nevada to California to get access to special research cancer protocols Dr. Hastings runs. So she brings access to cutting edge cancer treatments to the kids here, which requires her to stay overnight in Reno and be away from her own children. 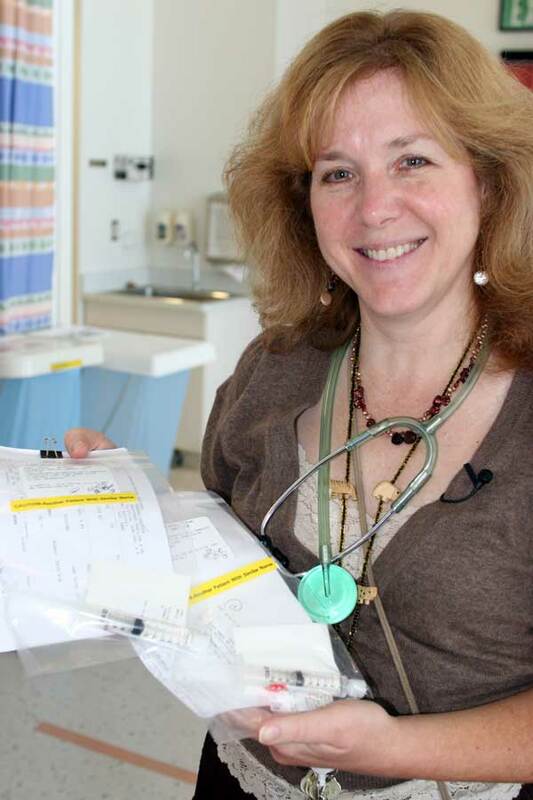 If Dr. Hastings is not in the clinic treating patients or writing FDA treatment protocols for us, she is writing books to assist physicians and nurses who are training to treat kids with cancer or blood disorders. We always joke about when she sleeps – we’re told she doesn’t and we believe it! We are very fortunate to have insurance but many families are not so lucky. While most doctors won’t see patients without insurance, Dr. Hastings has helped take on several cases. Hugh and I are always amazed at how selfless she is. She wants to give kids and their families in Northern Nevada the kind of treatment that they would get if they traveled to a major medical center specializing in chronic and severe disease in children. The only reason we are able to treat Addi and Cassi in our local community is because of Dr. Hastings. Every day we are incredibly grateful for Dr. Hastings and all she has done for our family and countless children in our community. this site as a best site for latest updates.